The term supermoon can be credited to Astrologer Richard Nolle, who admits he ‘created and defined the term in an article published over 30 years ago’. 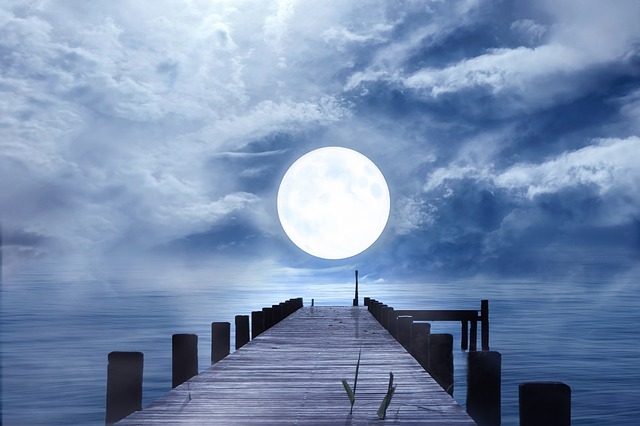 There’s a Full Moon on Thursday, the 21st March, exacting at around 1:43am in the UK. I have been talking a lot about the critical degrees lately, due to the fact that our last four Full Moons have occurred at 00°. Now the one this Thursday is the final one in this critical degree series and I feel that this is something of both a culmination point and a gateway through into the next phase of life for us; one that can potentially do a lot to help see us through the rest of this year, as we take the energies from these critical degrees through with us. The first one that occurred in November highlighted this important degree of the Gemini/ Sagittarius axis and Jupiter (who has been thriving comfortably in his domicile throughout) has found his way into such a strong position each of these Full Moons, if not positioned right next to the Sun, Mercury or Venus then at least trining or ruling the Ascendant. For these reasons it makes complete sense to me that this passage of time between November’s Full Moon and this Thursday’s Full Moon has been a lot about exploring; especially exploring our options and opening ourselves up to new possibilities in certain areas of our lives that were previously somewhat obscured. There is also the mutability factor of the Gemini/ Sagittarius axis, meaning this passage of time has also been about adapting and this of course means adapting to the new paths we have taken and opened ourselves up to, while allowing ourselves a much wider view of the world (or our worlds) than we were previously capable of.